Lots of snow is the recent theme for Marquette county lakes. Be prepared for lots of slush and rough travel on the ice. Because of the conditions, most reports we’re getting right now are from people who are fishing relatively closer to shore and not necessarily the best fishing locations on the lakes this time of year. The people who are prepared and have the transportation to get to the “hot spots” are catching some nice fish. Tactics have changed again the past week. For a couple weeks the pattern for perch had been small tackle and wigglers. The best reports lately have been guys using larger tackle (Lindy frostee spoons, quiver spoons or Swedish pimples in size 3-4 as an example) with large rosie red minnows. When the schools of perch move in they are very aggressive and are inhaling this entire presentation. The trick seems to be getting to right spots and then keeping your baits down while the schools of fish are below you - they move and in and out very quickly right now so catch them as fast as you can. 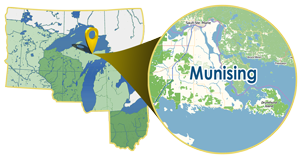 A lot of fishermen are still targeting the Munising fishery. The fishing here has also slowed a bit since first ice but remains a great spot to target multiple species of fish. There are numerous under size splake being caught - we’ve seen a few this week up to 21”. 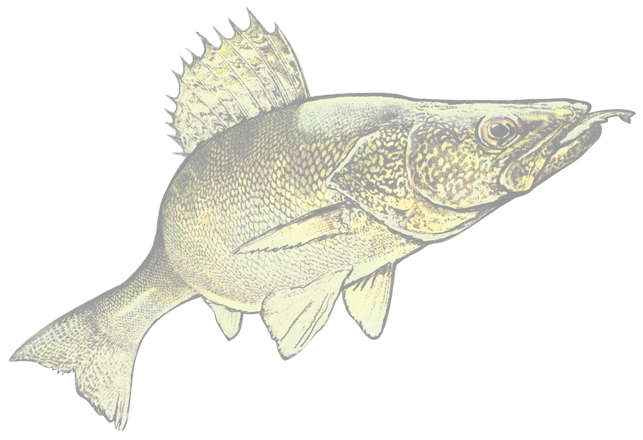 Perch, whitefish, coho are around and lake trout are being caught if you want to venture out into deeper water. A few nice brown trout have also been iced this week. We’ve been able to keep our rental shack open in these conditions and keep clients comfortable and on a few fish. 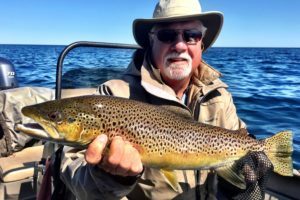 For more information on local fishing and conditions or to inquire about our rental shack opportunities please give us a call at The Bobber Shop located in Marquette (906) 362-3634. With everybody off work and enjoying time off with family, we have seen a huge amount of fishermen AND fisherwomen in the shop the last few days. It’s great to see everyone getting out on the ice and enjoying some fishing. The tremendous bluegill and trout fishing has continued on the traditional inland panfish and trout lakes around the Gwinn area. The pattern for these fish continues to be finding the weed beds in slightly deeper water (12’-15’) and varying your presentation depths. The bait of choice has changed over the last week for most people targeting the trout, it was wax worms and small minnows, now our best selling bait has been wigglers the last few days. If you’re looking for some nice perch fishing, those reports are starting to come in too with sizes of up to 14 inchers being reported. Depending on what lake you’re targeting, small rosie red minnows and wigglers have been the bait choice for perch fisherman. With all the kids out of school for Christmas break, pike fishing with tip ups has been a popular activity and the walleye fishing has been mostly put on the back burner. Marquette County has great opportunities to get the kids on the ice and enjoy chasing flags all day. We have several lakes with reduced size limits and increased daily bag limits for northerns and these lakes have not been disappointing! Try rigging your tip ups with a wire leader and a smaller than normal treble hook. Hook your sucker minnow through the upper lip and position your minnow a good 3’-4’ off the bottom. 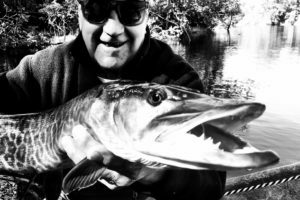 With the hook through the upper lip, your minnows will have more action and your hook sets will tend to be better, especially on smaller fish and allow your younger anglers a greater opportunity to land the fish. 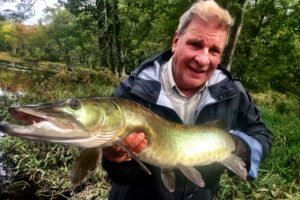 If you’re heading to Marquette County to do some fishing, stop in The Bobber Shop and get the latest up to date fishing and ice reports. They can set you up with whatever gear you need, a HUGE selection of live bait and have rental shacks available. You can also give them a call at (906) 362-3634 or look them up on Facebook. The unseasonably cold weather has the fishing on hold. It should pick up with the warmer weather coming. Fishing has varied with anglers reporting decent catches of whitefish up to 15 inches. The splake action was fair, but most fish were undersized. A majority of anglers were using Swedish pimples and assorted jigs, tipped with spawn, cut bait or fathead minnows. Some have caught the occasional young rainbow trout or brown trout. Some smelt along with young coho were being caught off Sand Point. Lake trout anglers are finding a few fish, but it's not great. Big Reef is starting to really heat up. The lake trout have been biting, both drifting and trolling are producing nice fish. 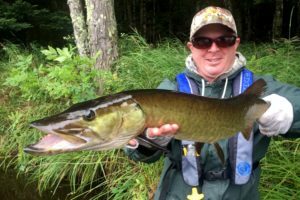 Coho and splake are also starting to bite...I guess it's definately time to head up to Munising for some of the most scenic fishing anywhere in Michigan. In spite of the cold temps this spring the coho fishing in the Munising area has remained good. Solid catches of smaller coho have been boated over the past week. The bite is happening in 40-50' and spoons has been very productive. Spoon colors have ranged from oranges to the hot color for me which is pink alewife. The winds have played havoc all across the state so stay tight to shore when possible. Spring is here and so are the salmon. Good catches of a mixed bag of eater sized fish are being taken by both the trollers as well as the pier fisherman. Coho, splake and browns are in the shallows and are hitting small body baits like #9 & 11 Rapala's. Spoons are also producing. Pier fisherman are getting fish on spawn as well as casting spoons. As soon as ice out occurs we will begin doing open water reports in and around the Munising area. See you in a few weeks!